Situated in Sowerby Bridge, this inn is within 6 mi (10 km) of Manor Heath Park and Jungle Experience, Victoria Theatre, and Shay Stadium. Halifax Borough Market and Halifax Piece Hall are also within 6 mi (10 km). Situated in Sowerby Bridge, this inn is within 3 mi (5 km) of Manor Heath Park and Jungle Experience, Shay Stadium, and Victoria Theatre. Halifax Piece Hall and Halifax Borough Market are also within 3 mi (5 km). Sowerby Bridge Station is 6 minutes by foot. 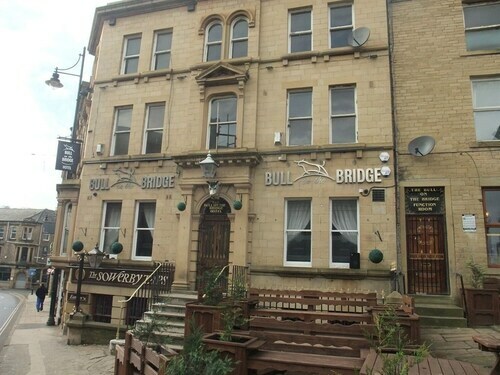 Situated in Sowerby Bridge, this apartment building is within 9 mi (15 km) of Victoria Theatre, Halifax Piece Hall, and Eureka The National Children’s Museum. Hollingworth Lake and University of Huddersfield are also within 12 mi (20 km). How Much is a Hotel Room in Sowerby Bridge? Hotels in Sowerby Bridge start at $46 per night. Prices and availability subject to change. Additional terms may apply. Travelers in West Yorkshire who are dreaming about a place to rest and relax in Sowerby Bridge have many accommodations choices. Travelers can access around 15 excellent accommodations within 6 miles (10 kilometers) of Sowerby Bridge. 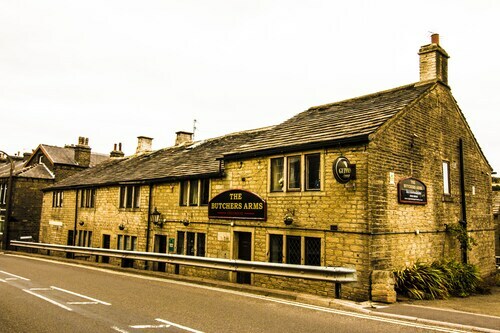 The The Alma Inn is a great base for your stay as it is one of the best-located Travelocity-listed hotels, one of just a few choices within a short walk of the Sowerby Bridge city center. 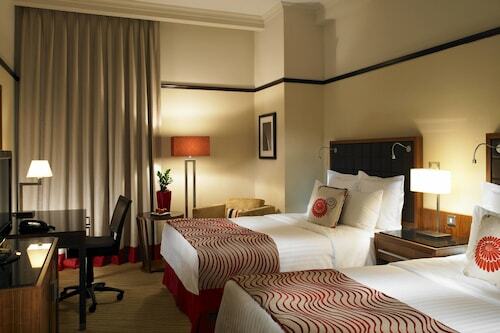 17 miles (28 kilometers) outside of the center of Sowerby Bridge, you can find the SACO Manchester - Piccadilly. Alternatively, the The Light ApartHotel is located about 17 miles (27 kilometers) away. Some other options are the Velvet Hotel and the Croft Mill - Apartments. 19 miles (31 kilometers) from Sowerby Bridge, you will reach Ilkley, which is where you can visit Ilkley Moor and Ilkley Toy Museum. 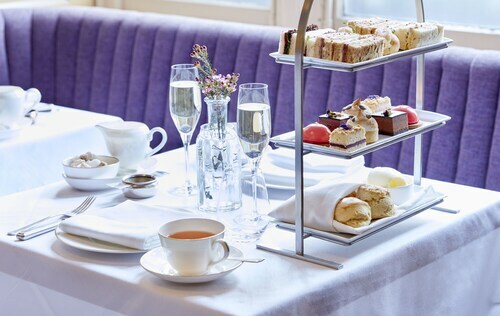 Some of our recommended Ilkley places to stay include the Best Western Rombalds Hotel and Craiglands Hotel. 18 miles (29 kilometers) northeast of Sowerby Bridge, you'll find Yeadon, which boasts the Chevin Country Park Hotel & Spa and Hillcroft Barn. The Yeadon Tarn Park and Yeadon Town Hall are some of the most popular sites to visit in Yeadon. Prior to saying your goodbyes to West Yorkshire, you sure ensure you join locals to watch a thrilling match. Visit Old Trafford, which you can find southwest of Sowerby Bridge. 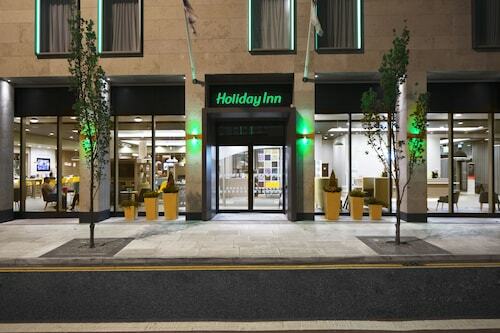 Travelocity users who are interested in finding a hotel close to the game, make a reservation in the Dreamhouse Manchester Bloom Street or The Lowry Hotel. Leeds Bradford Airport is a practical gateway for those flying in and out of Sowerby Bridge. It is 19 miles (30 kilometers) from the heart of the city. 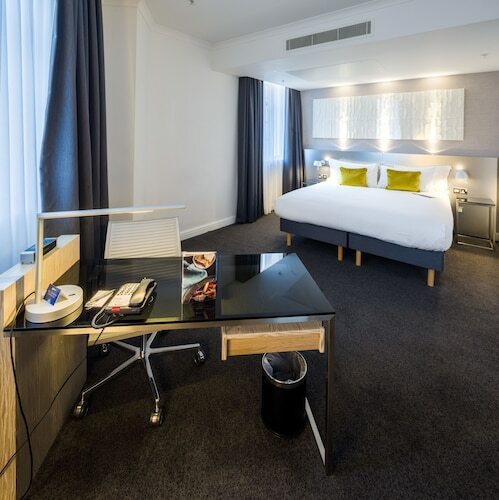 For travelers who choose to find accommodation nearby, read about The Half Moon Inn or Britannia Leeds Bradford Airport Hotel. 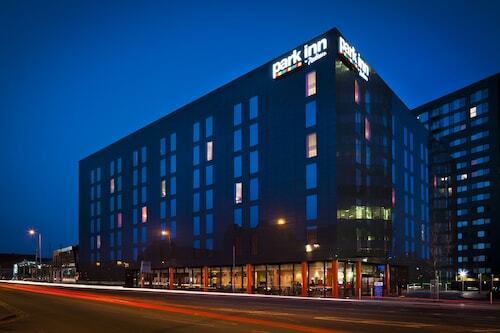 Always a wonderful place to stay while in Manchester. Great staff, service, location and beautiful. 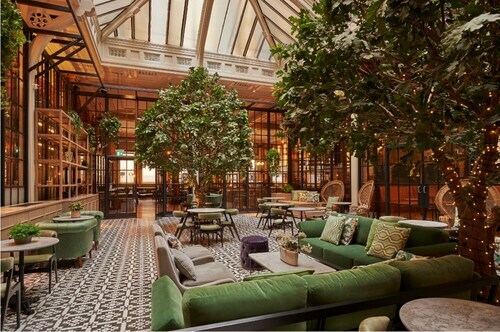 Old world feeling with modern accomodations.